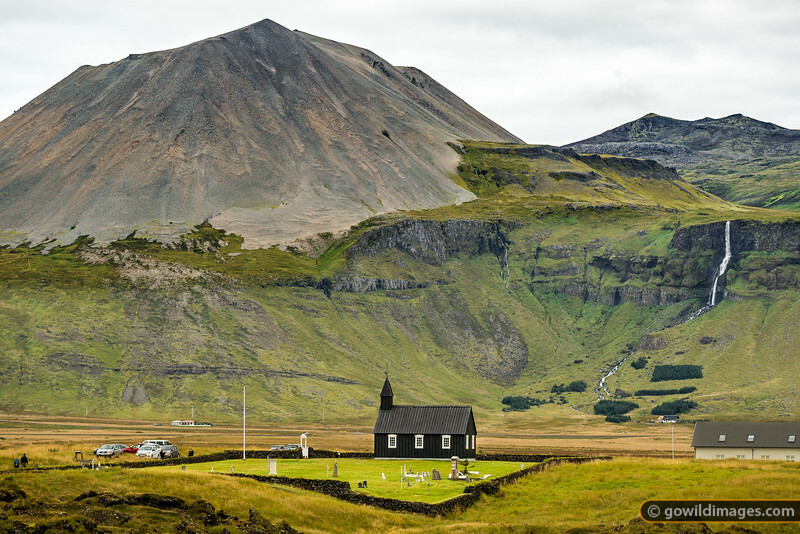 Situated on a lava field, Buðakirkja is a recreation of the original 1703 church that had fallen into disrepair. It was rebuilt in 1848, then in 1987 it was shifted away from the historic graves and fully restored. The volcanic Mælifell peak looms beyond.